Quite possibly the best site on the internet! I had a bunny named Dusk when I was ten. after she died a jack russel dug her out of her bunny grave and dragged her around my lawn. 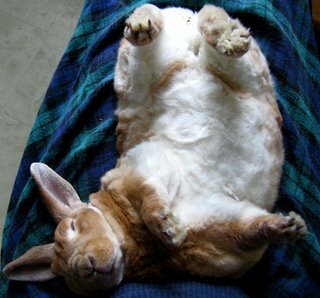 Oh Bells, what a comfy bunny. And I agree about this being the best site on the internet. i so wish my ryalan would nap on his back like that! so cuddley!